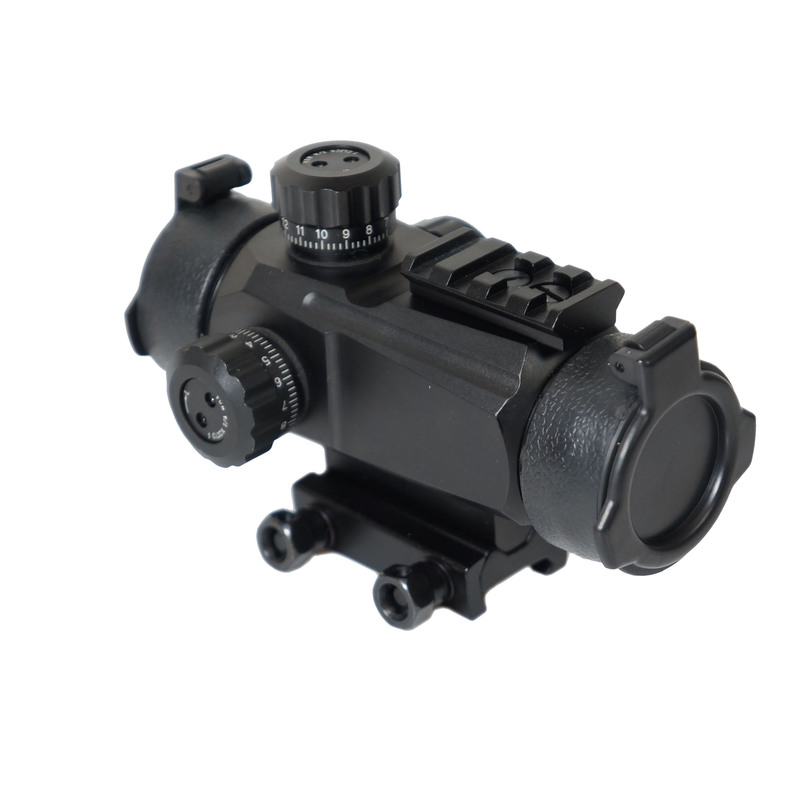 LIVABIT Optics 30mm Stealth Tactical Illuminated RGB Sight RD04-BLK: is built with a contemporary and cutting edge design. It has the capability to control image brightness with a simple turn of the objective lens adjusting rim. Box Dimensions: (LxWxH) 8.4 x 4.3 x 3.4"